Whether you are an accountant or a business owner, you probably have to deal with financial statements quite a lot. As a statement of the financial position of one company, a balance sheet is a particularly important document for both accountants and business owners. If you are a business owner, it is proof of your business’ liquidity; if you are working in an accounting firm, it is the basis for ratio analysis of your client’s company. In either case, the next time you want to apply to a bank loan, for instance, you will be required to provide a balance sheet. Or if you decide to look for potential investors, they will ask you for your balance sheet data. No matter how often you prepare your balance sheet document, every quarter or once month, the fact is that at one point you will need to snap your company finances in order to track your company or your client’s company performance. Sometimes you will even be required to compare one reporting period with another or to compare the balance sheet data with the data from other financial statements. As balance sheets are, like all other confidential financial documents, usually saved in PDF format to easily prevent any changes in format and data, it becomes a problem when you want to edit the document, add more data to the current document or practically use old report to make a new one. There is of course, one quite well-known solution: convert a PDF to an editable file format by using a PDF conversion tool. As balance sheets usually have assets and liabilities presented in a table, the best editable format to convert a balance sheet is definitely Excel. There are tons of different PDF to Excel tools on the market, some of them are desktop, others are web-based but what about mobile apps? Open your balance sheet document that was previously saved in a PDF. You can open it via Gmal, Google Drive, One Drive, Dropbox or any app that has the Share button. 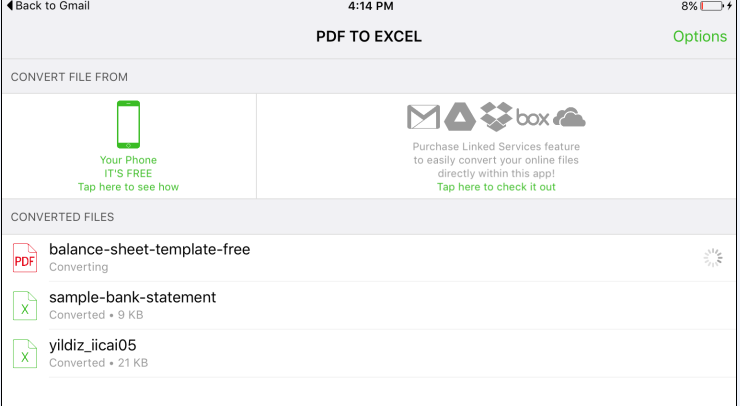 Once you open the chosen document, tap on the Share button and from the Open in menu access the app PDF to Excel which you have previously downloaded on the app store. The file will be converted in a few minutes or so, depending on how busy the servers are, how big your PDF is, and how fast the speed of your internet connection is. This app also converts scanned PDF documents, which comes in handy when you want to reuse old scanned financial documents. The converted file will be placed in the same folder where the original file is and you just need to open it in MS Office or any other mobile app that views Excel files. 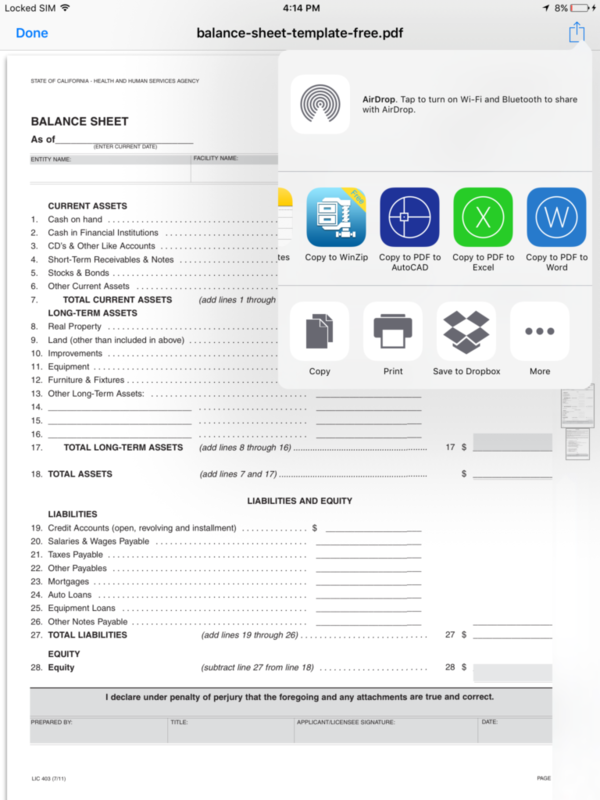 Although balance sheets represent the assets, liability and equity data frozen in time, you can defrost those data and edit them on your iPad in just a few straightforward steps. No matter how good you are at managing finances, this is one of iPad tricks that you should know about.